“Sinn Féin in government will deliver 100,000 new homes, will deliver security and certainty for tenants, will support home owners and buyers. 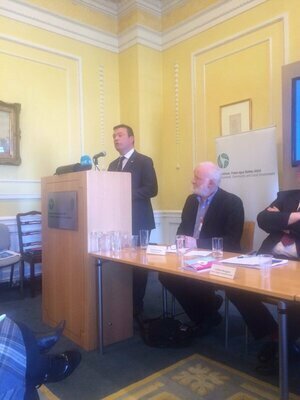 The housing crisis can and must be tackled, there is no short cut. The answer is obvious simple we need to start building houses again. We need rent control and we need to ensure quality building standards. We need to stop the profiteering of banks at the cost of mortgage holders. 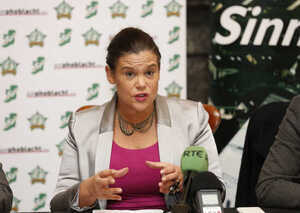 Sinn Féin Deputy President Mary Lou McDonald this morning. Under the plan 36,500 “social and affordable homes” would be built before 2021. Sinn Féin also promises to abolish the local property tax and introduce “rent certainty by linking rent increases to inflation”. 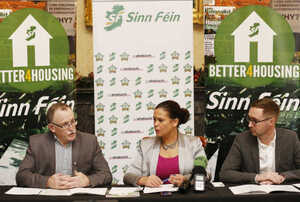 Posted in Misc and tagged Housing, Sinn Fein at 12:58 pm on December 4, 2015 by Broadsheet. Snappy name for the policy. I hear they’re launching a melanoma awareness campaign next week along the same lines. Let’s not forget this is a party who turned up and collected the killers of gerry mccabe from prison. So PIRA/Sinn Féin has a tin ear for public sensitivity. But then they’re doing well in the polls, despite their widow-slaughtering, nonce-enabling ways, so what do I know? Nobody cares about that anymore. They really don’t. Not disagreeing with you on that score. Never hurts to document scorn all the same. PIRA/SF: the party that outsourced its responsibility for spending cuts back to Her Majesty’s Government. Some way to honour the Republican tradition. So they hang out with murderers. Who does not these days? Sure, even some at the cabinet table.
. So its ok to use the agreements that were meant to end trouble in the north to get thieves off a murder rap. You’re a lovely person. 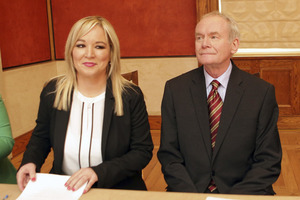 Nice speech Mary but 32 county unification is Sinn Fein/IRA’s number one priority. Always will be. everything else will fall by the way side. They will say anything to get in power. So they are just like every other political party then. Not EXACTLY like every other political party, then. And this is to be funded how exactly? Borrowing extensively seems to be about the core of their suggestions, other than some hand-waving about changing taxes for “the rich” – by which they mean people on the average industrial. Bang on the money, Cian. They have a special relationship with Northern Bank. ..they just didn’t want to fill out the forms. maybe they can revisit the 90s practice of marching on and evicting known drug dealers? then they can reallocate the empty housing units according to their system of priority. Just the competition drug dealers. The ones who donate to “the cause” are left alone. Vote Sinn Fein Better4Hacking at the knees ! they don’t like bright sparks like you. in fact mcfeely is wary of any kind of spark..
SinnFein’s policy on housing…….We know where you live! Yeah, rent control worked so well for Stockholm – wait no it didn’t. More populist crap with little thought behind it. Rent controls work in most of Europe. If it failed in one example in thousands the whole project is DOOOOOOMMMMMEEEDDDD!!!! Banking failed all over the world but that’s an exception. And shur we can’t be interfering in da moooorket. It’s not like section 23 was interfeeeeering in da morket.. and writing off debt interest costs..and tax incentives for building and… etc etc.. that’s not interfeeeering in da mooorket at all at all. Ja know, I wasn’t too sure what section 23 was but you used to see it on these big posters hanging on new apartments all over the place at one time. The most popular way of reducing rental income tax liabilities has been the very successful Section 23 Relief. This relief allows a double tax deduction for the one cost. The cost of the property can be offset against rents for income tax purposes and when the property is sold the same cost is allowed again as a deduction for Capital Gains Tax purposes. Self employed individuals or those who run their business through a limited company and who own their own business premises could charge a rent for the property to the business. Then they could purchase a Section 23 Property and use the special tax allowance on the Section 23 Property to reduce/eliminate tax on their rent from their business property. That’s not interfering in da morket at all at all. In fairness, with our politicians, that’s the one model they’d emulate. Guys, the purpose of this thread is to slag off the Shinners. Get out of here with your common sense and logic! “We need rent control” – nice to see that they have agreed with Labour policy on that area! We need to build 100,000 houses – why yes, yes we do. We need it in all shapes and sizes, in all sectors. Which is why 3billion was allocated last year for social housing, 7.5 billion announced for residential & commercial development. That’s 10billion being pumped into the housing / building sector. but the time for sites to be located, planning permission obtained, contracts and all the bits to be done takes 18-24 months before the shovels are in the ground. This from the mouth of the woman who, until she was blue in the face screaming, denied kangaroo courts and the release of sexual predators from the North to run free in the South to ruin more lives… which they did. Anyone who trusts Mary Lou may as well hand their kids over to the nearest child catcher. PURE UNADULTERATED SCUMBAG! …that includes Pearse for the same reasons. Out and out scumbags who denied releasing sexual predators on children, and women. That’s what you vote for when you vote Sinn Fein. SF are the only thing you comment passionately about. Very telling. PIRA/SF build a carapace of respectability over a monstrous criminal entity. This chimera views itself as a natural party of government in our republic. I can appreciate why Clampers is disdainful. You won’t find any political party here without grubby hands. Not excusing SF of course, but it’ll take a revolution before we have a leader with any integrity. it is telling. Telling that I wouldn’t trust any of them in a fit, and it’s all down to their own ‘party first’ lies, lies, lies… and flip flopping when seats are lost. I love that one, complete 180 on water was brilliant, fooled most if not all of the SF voters anyway. A vote for SF, says that you condone the release of paedophiles and rapists on the people of this island. That’s how I see it. ah wudja stop, is all they wanna do it get in power and then spend all their time tryna get a united ireland. if that impossibility happened, id feel sorry for them up north, being dragged onto this smelly ship after livin the luxury of being part of the UK. “Asked about the court case and sentencing at a Sinn Féin press conference on Friday morning, Ms McDonald said said both the case and the experiences of Ms Tully McAuley were “absolutely shocking, absolutely vicious”. She was also asked about Sinn Féin TD Martin Ferris collecting Mr McAuley following his earlier release from prison for the murder of Det Gda McCabe. Ms McDonald said: “Listen to me, let me tell you; lots of people across society unbeknownst to themselves, know, work with, live beside people who are domestic abusers and who are violent to their partners. 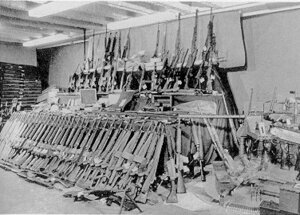 “The culpability and responsibility for that violence and for those actions reside with the individual who carried them out. So I think it is entirely wrong to try and drag in third parties and to name them in different contexts as though that were part of the scenario and the awful situation that Pauline and the boys went through. Boils my pish that that feckin’ deluded-lieing-willing-to-say-anything has the complete lack of self awareness that she thinks that anyone would believe her……. and the really sad thing is, there are plenty of morons who’ll swallow her tripe. Thanks clampers, my exact sentiments. It’s a cruel twist of fate that ordinary decent Irish people will most likely elect this lot in big numbers due to their sincerely held frustration and anger with the current political status quo; that the Provisional IRA should be awarded with power due to the appalling mismanagement of this state by cowboys, boyos and back slappers. It’s an appalling scenario. There’s a hunger for real dynamic change, but the default with this lot is anything but.